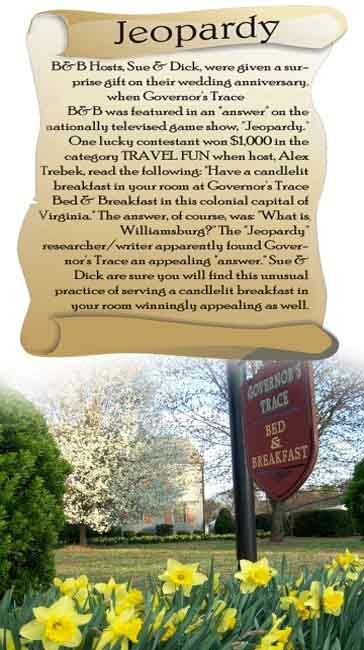 “Privacy with a very romantic candlelit breakfast on our own screened in back porch while watching the hummingbirds. FANTASTIC!" 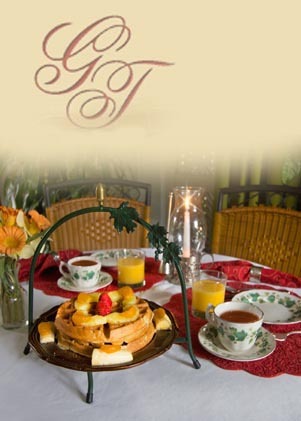 Enjoy a romantic breakfast in your room or on your private porch! Breakfast is a private affair. You don't have to be dressed for the day when we serve breakfast (we provide robes.) If you're not a morning person, that's O.K. We won't ask you any questions (but we'll be happy to answer any of yours.) We give you a choice of two times for breakfast each day...one for early birds and one for those who prefer a few extra winks. Enjoy being pampered with a private, candlelit breakfast each morning.